We are running LiteSpeed at work in order to compress our backups in SQL Server. I was tasked with moving the LiteSpeedCentral database from one SQL server to another. A simple task one might think. By a quick search, I found a support ticket that says that you simply do a backup/restore of the database and a reconfiguration of the LiteSpeed client on each server. Simple enough, I did that. The reconfiguration could have been easier, i.e. swap "old server" for "new server" instead of having to reconfigure everything, but sure enough, it worked. 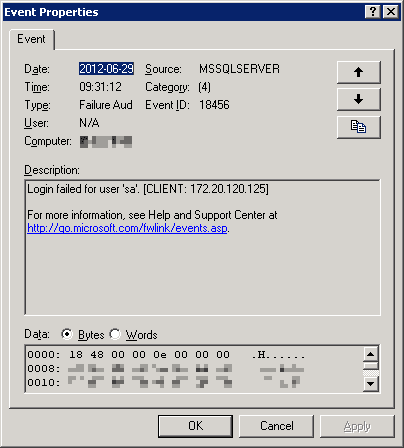 I then got a lot of warnings on my old SQL Server telling me that some service on the LiteSpeed application server is trying to connect to the database but is failing. I did some digging trying to find out what was causing this. 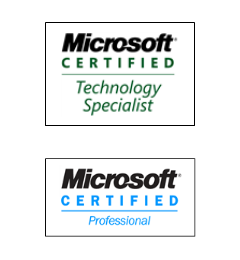 The warnings came with an interval of fifteen minutes which narrowed it down to the SQL Server Agent job LiteSpeed for SQL Server Update Native Backup statistics and more specifically the query exec [LiteSpeedLocal]..[LiteSpeed_ImportNativeHistory]. 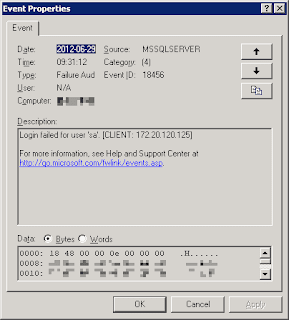 When I ran this manually, it executed without errors but I still got the login failures logged on the old SQL Server. No matter what I did to reconfigure the LiteSpeed application I could get rid of this warning. Finally I managed to find a dicussion on the Quest support forum that pointed me to the registry where I could find entries that were left pointing to the old Central Database Server. They were at HKLM/SOFTWARE/Imceda/SQLLiteSpeed/Engine/ActivityServers/[Database]/ Deleting these entries solved my issue. So seriously Quest. Is it so hard to have a properly documented procedure for moving the database? It should be a pretty common task for customers to have to do..
Nice post. I'm moving my presetly and I'm sure you saved me much anguish. Thanks.